Green Leaf Lawn provides Tulsa holiday lights and installation professionals for businesses, property managers and residents of Tulsa. We are here to light up the city with beautiful Christmas lights and bring the holiday cheer to every corner of the city. You won’t be disappointed in the professionalism or the speediness of which our professionals work. We also provide lighting technicians and designers to help you turn that home into the ideal holiday atmosphere that will make all of your neighbors jealous. Home or business we can help you out this Christmas season. Give us a call at 918-640-6405. We want to help you out this Christmas season. We understand the struggle of hanging up Tulsa holiday lights and the idea of going into the attic looking for that box of lights is very unappealing. But you have to get them up. It’s the holidays and it’s important to your wife that her house is the next North Pole Tulsa. Why not relaxes holiday season and allow the professional sphere Green Leaf Lawn to install your holiday lights. We know you’re thinking. 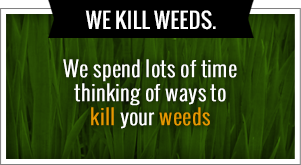 Don’t you guys do want care and weed control? This is true but once the snow starts to fall we put on our Santa hats and we get to hanging up those lights so that you don’t have to. Residents love how quick we are when it comes to hanging up Tulsa holiday lights. We give you a free on-site quote, take measurements and our team of designers offer quality suggestions on how to make it perfect. We want you to sit back, relax and focus on other aspects of the holidays. We take all the risk, we climb on the roof and we make sure that the lights are straight. This is your opportunity to focus on your family and do some holiday shopping without having to worry about the lights going up on the tallest part of your house. We take care of everything so that you don’t have to. As a business it’s important to get into the holiday spirit. Not only for yourself but for your customers. They need to walk into your store feeling the holiday magic and be inspired by the Christmas atmosphere that you have provided. 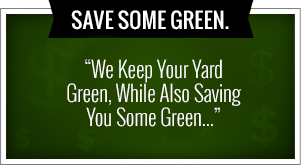 Green Leaf Lawn can take care of you as a business owner. We can hang up the lights and cater to your specific style so that it’s unique to your business and your personality. We provide experienced and creative lighting technicians that have an eye for creating the ideal holiday atmosphere. If you’re ready to get those Tulsa holiday lights up and brightened please give us a call today for your lighting estimate. The time is now before it’s too late. Don’t risk your life this holiday season by climbing up on your roof especially after it just got done snowing. Let us move forward and hanging up those lights and getting the job done right for you, your business and your family. Call today for your free light installation quote. When it comes to install your Tulsa holiday lights there’s no one better suited for the job or more professional than the team here Green Leaf Lawn. We are the ideal company of choice turn your home into the perfect holiday atmosphere and winter Wonderland. Your times not have to be spent digging around in the attic trying to find that water tangled up Christmas lights. With our experience and our Tulsa holiday lights expertise, will have those Christmas lights up in no time. Give us a call today at 918-640-6405 to get your free on-site quote today. We provide Tulsa holiday lights for property managers, business owners and residents all over the city of Tulsa. We have highly trained technicians, designers and professionals who are able to give you free estimates on what it will cost to hang up those Tulsa holiday lights. We arrive and take measurements as well as offer creative suggestions on how the lights could and should be displayed. Our goal is to make these holiday lights a smashing success and to meet all your needs as best we can. You don’t ever have to sacrifice the quality of your lights when you decide to go with Green Leaf Lawn. We want to make your house or business stand out from the crowd. Christmas is one of the busiest times of the year and your to do list grows longer and longer with each passing moment. Check off Tulsa holiday lights from your list and go with Green Leaf Lawn. Our goal is to make this Christmas stress-free and take care of everything from top to bottom. Your home can be the talk of the neighborhood and the sole reason for your neighbors jealousy this Christmas. You don’t have to worry about a thing and you don’t have to risk your life dangling from the roof trying to hang up those lights. Our team will take care of everything for you. All you have to do is sit back, relax and enjoy. When it comes to your business it’s important to make customers feel the magic of Christmas. Christmas is a busy time for most businesses and it’s important for them to showcase the holiday spirit as they welcome returning and new customers. Our lighting technicians and designers can help turn your business into a hotspot for this holiday season. We want people feel welcome the moment they step into your store by simply driving by the beautiful Tulsa holiday lights that are installed perfection. You been looking for a holiday light installer now you have one. Give us a call to get your free on-site quote today or simply visit us online to find out more information about what we can do for you this holiday season. Creating the perfect holiday atmosphere is why our number one priority for businesses and for homeowners. You won’t be disappointed in the quality work that we provide. As much care as we put into lawn service and weed control we put just as much as installing holiday lights for the people of Tulsa.